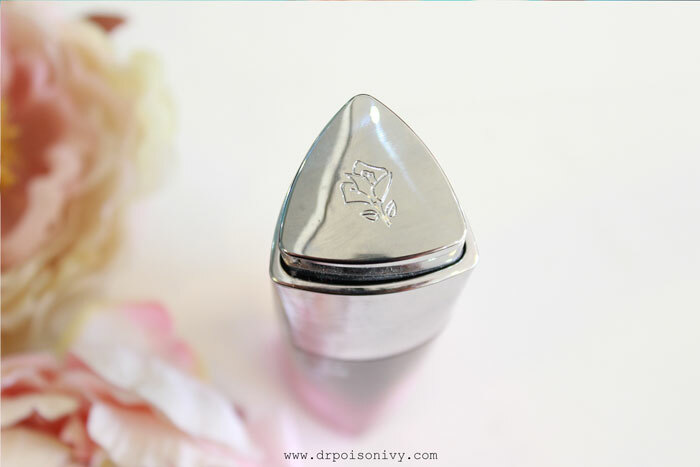 This product has been the most disappointing product of 2014 next to l'Oreal Paris Magique Kajal. But just because it didn't suit my skin ,it doesn't mean it won't suit you too. Please remember that all skin care review on my blog is based on my personal experience and what suits me might not work for you and vice versa. 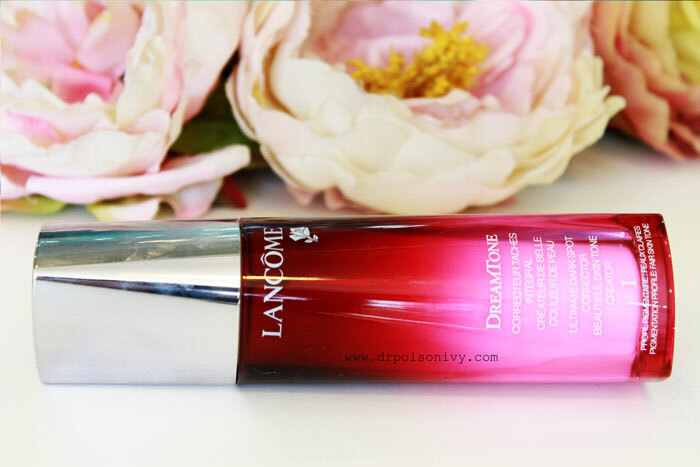 Lancôme’s Dreamtone is a skincare product so powerful that 2 out of 3 women would dare to bare their skin. * Through our triple action technology, this advanced corrector is designed to correct the appearance of dark spots, uneven skin tone, and visibly corrects colour irregularities such as dullness, sallowness and blemish marks. With three tailor-made formulas to target each pigmentation profile – from the fairest to the darkest – it’s an innovative skincare approach for visible results. 70%* saw a visible reduction in Dark Spots. 84%* saw a visible improvement in Skin Tone. 80%* saw a visible reduction in Colour Irregularities. To correct the appearance of dark spots and uneven skin tone, apply to clean skin day and night. To be applied over entire face or used as a dark spot treatment. This is one product that proves never judge a product by its cover. Comes in a lovely pink red ombre triangular bottle. The bottle looks too big for the quantity it holds ie approx 40 ml. After 5 months of zit and flake free winter due to Innisfree Green Tea Seed Range(reviewed HERE and HERE), i got this for review from Lancome and was pretty excited to try it out. Afterall its Lancome ,what could go wrong. I also got 2-3 zits which freaked me out! Initially i thought maybe the zits were due to PMS hormonal cause. They refused to go away even after THAT time of the month . After using this for nearly a month i decided to chuck this away blaming it to be the main culprit and my skin is back to normal now. During the day time i used it (not anymore) as a base for make up. 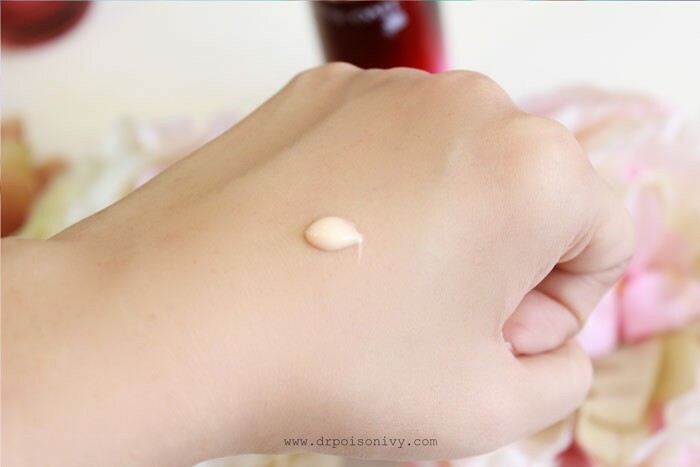 Helps to spread the BB creams evenly. The formula is gel like cream. Light peach color with micro shimmers. Has a lovely and strong rose fragrance. Claims to be paraben and sulphate free. I got the shade no 1 which is to reduce redness. Frankly i didn't see any reduction in the mild redness i have around my nose. I feel like this product Overpromises and thats the main fault. 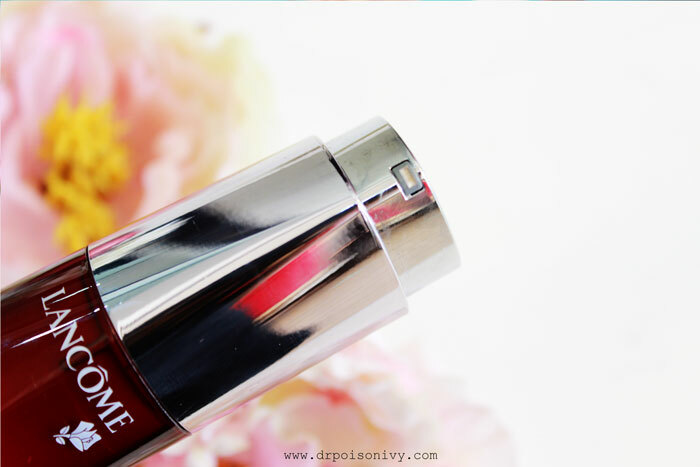 It did nothing to improve my skin texture,redness or dark spot reduction. So sorry to say that this product is lying somewhere in a corner neglected by me. Maybe i'll pass it on to my mom and see if it works for her. The price made my head spin! Even if it did work, I'm not sure I'd get it. Oh....it's so disappointing when products meant to improve ur skin, make it worse. Lancome Visionnaire broke me out like craaaazzzzy! 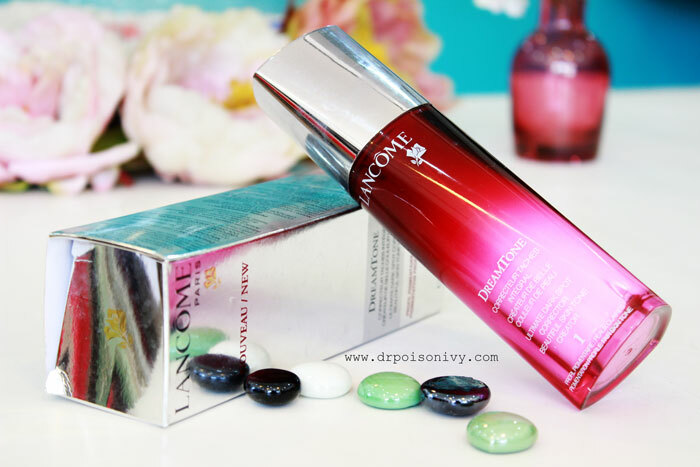 While i love Lancome makeup, it's skincare doesn't seem to suit me. However, I've been using the Genifique sample since a week and love it so far. Sadly didn't work for me as well :(. I tried it as a base for make up and it still broke me out. Haven't used it for few months now lol. The best thing about your blog is you having the balls to tell it like it is. Other bloggers just confuse by putting in sweet words for products that we can see from the photographs are doing nothing for their skin. the review I give on my blog is my honest opinion based on how it worked on me.